The first Nitte International Film Festival will be held on April 24, 25, 26 and 27, 2017. 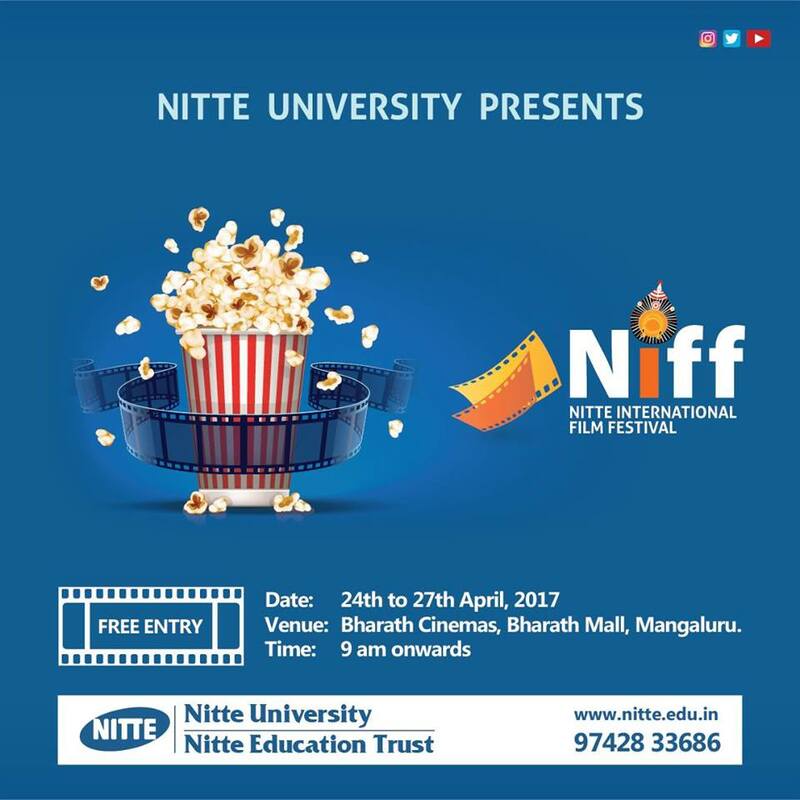 This film festival is being organised by students of the Nitte Institute of Communication, affiliated to Nitte University, Mangaluru. The aim of the festival is to showcase award winning, and critically acclaimed cinema from across the world to audiences in Mangaluru. It also aims to provide a platform for great cinema that did not have good theatrical releases in Mangaluru. All screenings are going to be free of cost at the film festival for the public. All film screenings are at Bharath Cinemas (previously Big Cinemas), Bharath Mall, Mangaluru. This edition of Nitte International film festival is focusing on diversity in multiple global community cultures & also celebrating Independent Filmmakers in the contemporary Filmmaking world. Apart from showcasing films, Nitte International Film Festival will also conduct workshops on script writing, screenplay, and film criticism.